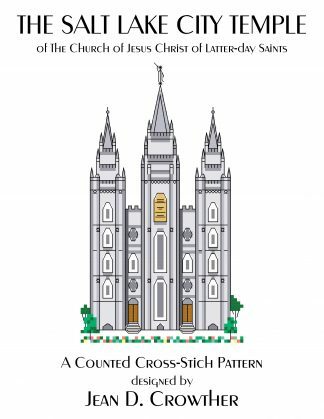 This Salt Lake Temple cross-stitch pattern download contains a counted cross-stitch chart, two pages of detailed instructions, the color key, a colored rendering of the temple pattern, and a black & white outline of the temple. The design size of the temple is 51 x 89 squares. It is 51 x 97 squares if the name of the temple is included. 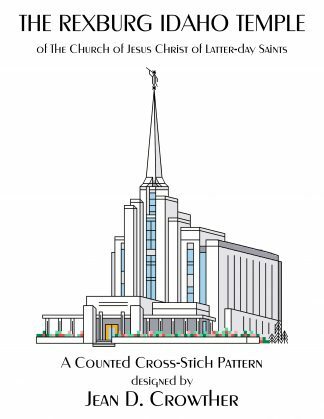 The pattern was designed looking toward the East side of the Salt Lake temple. This view includes the tallest tower topped with the Angel Moroni and the two original golden doors with stairs where families and newly married couples gather for photographs. This is the fourth temple in operation constructed by The Church of Jesus Christ of Latter-day Saints, and the fourth temple in the state of Utah. 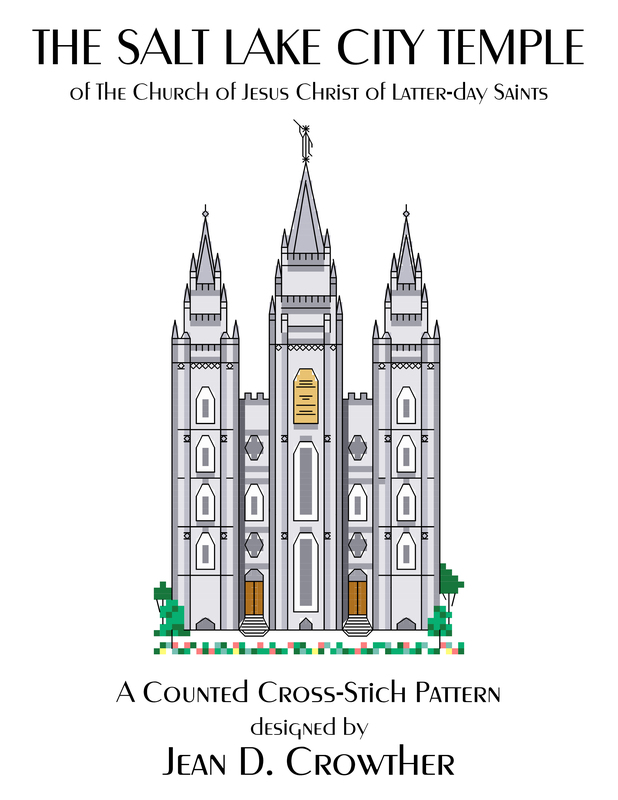 This Salt Lake Temple cross-stitch pattern download contains a counted cross-stitch chart, two pages of detailed instructions, the color key, a colored rendering of the temple pattern, and a black & white outline of the temple. 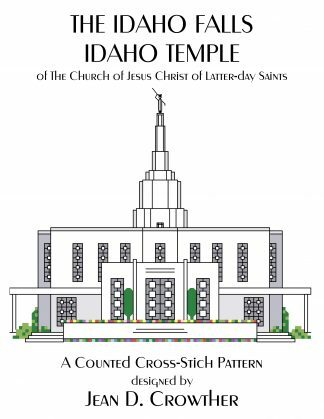 The design size of the temple is 51 x 89 squares. It is 51 x 97 squares if the name of the temple is included. The pattern was designed looking toward the East side of the Salt Lake temple. This view includes the tallest tower topped with the Angel Moroni and the two original golden doors with stairs where families and newly married couples gather for photographs. The site for the temple was chosen by Brigham Young on July 28, 1847, just four days after arriving in the valley. Ground was broken on April 6, 1853 and the temple was dedicated on April 6, 1893 by President Wilford Woodruff, exactly 40 years later. It was the fourth temple in operation constructed by The Church of Jesus Christ of Latter-day Saints, and the fourth temple in the state of Utah.